They say, “Build it and they will come,” but the same adage doesn’t always apply when you own a sneaker store located in Western Australia. For 38-year-old Matt Thomas, the owner of Highs and Lows, it’s been a challenge for the world to recognize his shop, which has three locations in the Perth area, but that’s exactly what he’s done. Started in 2005, Highs and Lows has become the sneaker store people know when Australia is brought up, and that’s exactly the way Thomas envisioned it. 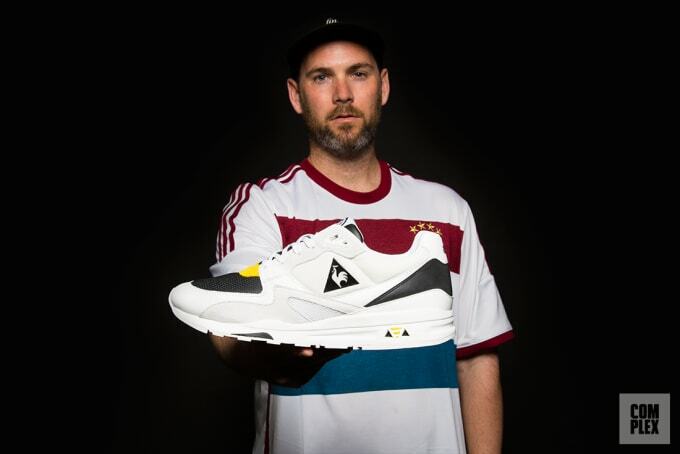 He’s taken his shop from a fringe retailer to one of the most recognizable names in the footwear scene, even having his Reebok collaboration worn by Action Bronson on our own Sneaker Shopping show. 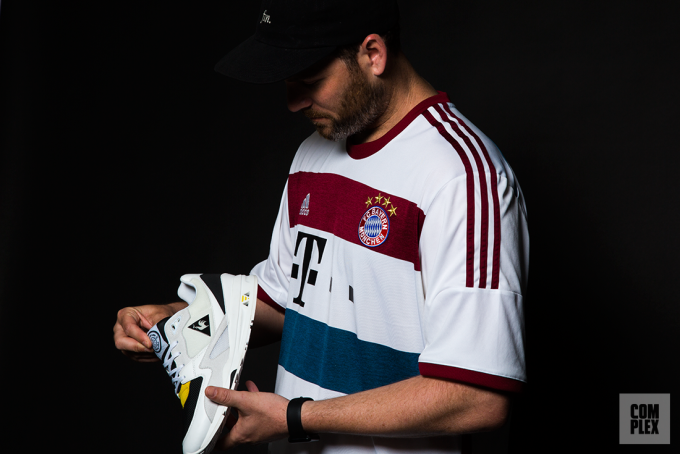 Thomas has had sneaker collaborations with ASICS, New Balance, adidas, Le Coq Sportif, Reebok, and Lacoste, but that’s just the tip of the iceberg for him. His goal was to get hist store respected around the world, and it all started with hard work. A lot of so-called sneakerheads dream of owning their own store one day, but few end up doing it, and even fewer do it well. Anyone with goals of success in the sneaker industry should listen to Thomas. His insight on how to make the best of your situation is vital for anyone who wants a career in footwear retail. 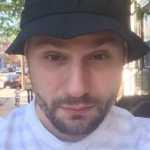 We had the chance to meet up with him during his travels to New York and chopped it up. He talk to us about not only the history of his store, but how his work ethic made Highs and Lows a name that means something to folks who don’t live Down Under. How did you start High and Lows? It’s been a long journey, but from where sneakers started to where they are now, it’s been a crazy evolution. When we first opened, we had to write a petition for a Nike account. I had to have people come and sign their names [on it] to get that brand in the store. Coming from Perth, it’s a pretty isolated place. Opening a sneaker boutique space like that back then, I don’t know if people were ready for it. Maybe globally things were changing. Patta and Bodega opened around the same time, so I think we opened at the right time. We always had a design background to the business and a clothing brand. We managed to become—or I hope people think of it that way—part of the process of collaborative footwear, part of the community. All I’ve ever tried to do is engage and make classic footwear that people cherish, want to own and see the value in the things [that we create]. What’s it like to be in such a remote place in Australia? I think by being so removed you get placed in a bubble that becomes extremely competitive in its insular nature. You’re not trying to compete with someone next door to you, you’re trying to compete with the global vision. You want to be the best in the world. By being so removed, your desires and aspirations are bigger than what’s around you. There’s an incredible amount of drive and enthusiasm [that brings] to have that [mentality], not as a negative but as an asset. At the same time, it means you have to work twice as hard for any recognition, which is good. It means that it’s well-deserved when it comes [to you], but you never forget how hard it was to get to that position. I suppose a lot of people who come from a big-city background might have their segue into the business world a little bit easier due to the tagline of where they’re from, or the opportunities that come from their location geographically. Being in Australia, geographically, we’re so far removed and considered such a small part of the footwear community, it’s nice to become known as the “Australian” shop. That’s what we’ve always wanted to be known as. We never wanted to be known as the “Perth” store, but the Australian identity. That’s why all of our clothes and apparel are made in Australia. When you get a box from us, it says, “HAL Australia, established 2005.” We want to champion where we’re from. That’s a very American trait as well—tell people where you’re from, what you’re about, and back it. That’s something we’ve learned. We shouldn’t not be proud of being from Australia, because that has some desirability. On the travels we’ve had this past season, more and more people are embracing and celebrating that we’re Australian. It’s been a nice change, things don’t feel as hard as they did before. Does it ever surprise you that you&apos;ve become known worldwide? Brands tell us that they’re honored to do a collab with us these days, and it’s really weird, because you never think that anybody thinks that much of you. It’s nice to come second hand, for someone to tell you that it means a lot to them for you to work together. Because usually it’s us always asking, “Can we do this with you?” But I’m a big believer in: “If you never ask for it, it may never happen.” You just have to go out and get it. A lot of people talk about things and never follow through. We’re the type of people that if we really want something, we go out and get it. Then when we do it, we want to celebrate in a way that’s so well put together. It sets a precedent and gold standard for anyone else who wants to do a collaboration. Something that people don’t realize about footwear is that the responsibility is 100 percent on you when you design a shoe to buy it, sell it, promote it, and market it. My desire is to create product that’s so incredibly photographed, there’s such a great story, that you can’t help to want to publicize it. In the day of advertorial, it’s hard for us because we don’t have the money to spend on it. So we have to make sure that our editorial content is so good that people want to run it. What’s most frustrating about running the business? Running a small business is hard work. It’s a grind. Retail is one of the hardest businesses to be in, you can’t set a clock to it. I’ve been talking to a lot of people about this in our industry, and we’re in the eye of the storm in footwear right now. It’s so confusing. There’s all this hype. There’s all this misdirection on where footwear is going. You can easily get caught up in it. So the most frustrating thing for me is “where do we go now?” Brands try to dictate what you’re going to buy by making you an allocation-based business. The decisions you’re making are less as a footwear store, you’re becoming a brand facilitator for their internal marketing vision. You’re faced with the challenges of more stores opening, more competition, oversaturation, dilution of product. It’s totally changed. Do sneaker releases get crazy in Australia? Definitely. For the last five years, I don’t think anyone had seen campouts for an Australian release. Then we had our Brick + Mortar ASICS shoe. 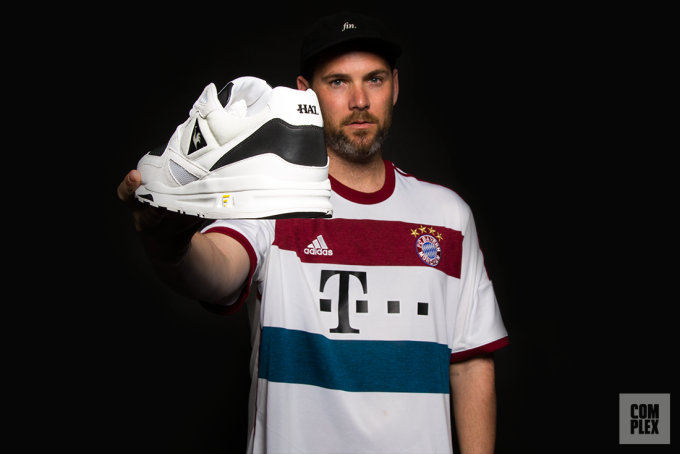 It was coming off the back of Ronnie [Fieg] and Patta’s success. That really started the campout. It was about being anti-Internet and celebrating brick-and-mortar stores. There was a really identity behind it and you could only get it from physical stores. You had to campout, it was limited. With the reselling market, campouts are becoming more difficult [for stores], because you can’t tell who’s a genuine buyer and who’s a reseller. Adidas, for example, Yeezys and so on, there’s a huge pressure on stores when those things release. In Australia, we have the same problem as the rest of stores when those shoes release. We just get a more-narrow range of product. Kids are crazy for footwear. NMDs are ridiculous right now. Adidas can do no wrong at the moment, they’re on a high, but their product is incredible. What’s the biggest difference between the American and Australian sneaker scenes? The American market is very basketball-influenced, the NBA is their national sport. We don’t have that same thing. Our product is narrow in where you can buy it from. You can’t basketball product from anywhere other than a Foot Locker. There’s a different set of rules. You can’t buy Foamposites or technical basketball shoes. You can only buy Under Armour at Rebel Sport [a large Australian retailer]. If you’re someone who doesn’t want to buy shoes from big retailers and want to support local shops, you’re just going to buy on the Internet. People in Australia are very particular where they shop. In America, there’s more of everything. Our selection is narrow, our market is narrow, and when [product] is great it sells out. We get every Jordan, but that doesn’t mean they’re going to sell out. They might sit on the shelves. Like Jordan II Lows, they might have gone HAM here. No, they’re not selling here, either. [Laughs] Well, if we do a comparison then, hot shoes are hot shoes. And if they’re weak, they’re weak all over the world, and you can’t just put out a colorway and think it’s going to sell anywhere. Hyped footwear is so transient, but classic footwear is here to stay. If you put out an “Infrared” Air Jordan VI, it’s going to sell every two years. Everyone will always want it. You put out seven other colors, and no one is going to care. So I think the biggest difference Australia and America is that we have the same passion for footwear, but we have a smaller market and more red tape. The big powers that be only see Australia as maybe one percent of the footwear market, so we’re not going to get much. Our clothing. Making our own brand. We’re getting more accounts. You want to build more on the vertical business. We’d love to one or two flagship stores, that would be in key cities not in Australia. Make amazing collaboration footwear. Be really selective in who we work with. Next year we have three ASICS shoes that I think are amazing. We’ve taken some chances. Some nice product with adidas, some follow-up shoes with Vans. Working with the same people we have [in the past] and perfecting our craft. That’s what it’s really about: perfecting our craft. Creating co-branded apparel, and, hopefully, when people buy something from us, they’re proud to have it. I just want to make classic footwear. It’s like when Kanye said, “You’ve got classics to your beats,” but I want to have classics to your feet.